After four years of planning and development, the CPA Center of Excellence® is ready to take CPAs to the next level and beyond. Powered by the Indiana CPA Society, the CPA Center of Excellence® is a platform created to better prepare CPAs for the challenges of the future. The Center is built on the foundation of advancing the CPA profession’s critical success skills (or core competencies), and offers a variety of tools, resources and creative educational opportunities that will position CPAs to improve those competencies in order to meet future client, employer and environmental needs and demands. It emphasizes competency-based learning, a concept much different than the current hours-based model. 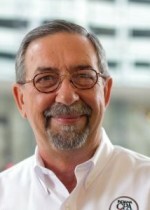 Knowledge sharing and awareness of emerging trends and issues are other major pieces of the CPA Center of Excellence®. The Society believes that in addition to being proficient in several core competencies, CPAs must also share knowledge and maintain an awareness of the trends and issues impacting them to be more agile, adaptive, dynamic and resilient. CPA Excellence – A Quick Start Guide to Defining and Mastering Vital Skills for Success This 83-page handbook contains charts, graphics and frameworks in a step-by-step approach for both individuals and CPA firm HR managers to progress through and master the critical success skills. CPA Excellence – Online Interactive Courses These modules are the future of CPA education and are also relevant to other professionals. Modules on leadership and critical thinking skills are currently available. Five more on decision making, collaboration, entrepreneurship, communication, and knowledge sharing will be released in the coming months. CPA Excellence – Live Simulation Events Though these are live events held in a classroom, they are anything but traditional continuing professional education. After a brief introduction, participants go through a live simulation to implement plans and solve real-world challenges. A debrief for reflections conclude the event. CPA Core Competency Study The Indiana CPA Society has partnered with Cognitive Edge’s Sensemaker® product to create an assessment tool for CPAs. Before competency development can begin, CPAs and their employers need to know where each CPA is starting from. This tool provides the answers. A benchmarking survey is being conducted this summer nationwide to give a baseline for CPA competency levels that CPAs and their firms can measure themselves against. CPA Center of Excellence® Online Sharing knowledge is all about collaboration, and the CPA Center of Excellence® Online provides the perfect online collaboration space for CPAs to connect with each other and share knowledge in a more efficient and effective way than ever before. 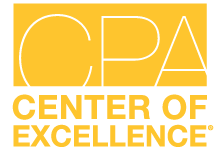 The CPA Center of Excellence® Online, which will include individual profiles, groups, discussion boards, blogs and a CPA resource library, will be available in July. For more information visit: http://cpacoe.com/.